Let's talk through the story of my favorite lentil soup. Years ago, two of my neighbors hosted a soup party. It was an inspiring affair – big pots of simmering soups and stews, house full of chatty, friendly people. Part of what I liked was the simple premise. The hosts (David & Holly) made a number of soups, guests were asked to arrive with their drink of choice and one thing to share – salad, appetizer, or something sweet. One of the vegetarian soups was a beautiful shade of yellow-orange. 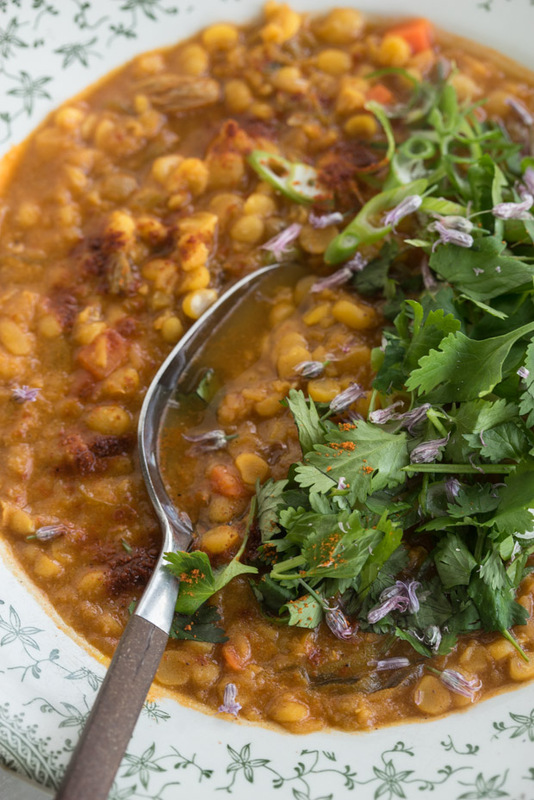 It was a light-bodied, curry-spiced coconut broth thickened with cooked red lentils and structured with yellow split peas. It appeared to be a beautiful take on lentil soup. When I asked Holly to tell me about it, she mentioned it was based on an Ayurvedic dal recipe in the Esalen Cookbook, a favorite of hers. She happened to have an extra copy of the Esalen book, and sent me home with my belly full, a new cookbook tucked under my arm, and a few suggestions related to the soup. I still make this soup regularly, love it (so much! ), and thought it might be fun to revisit it today in video form – enjoy! I've also included some notes related to adapting this soup to the Instant Pot. Other things worth noting related to this soup – the slivered green onions sauteed in butter or coconut oil. The golden raisins that plump up with curry broth. Back notes of ginger. Depth from a good dollop of tomato paste. 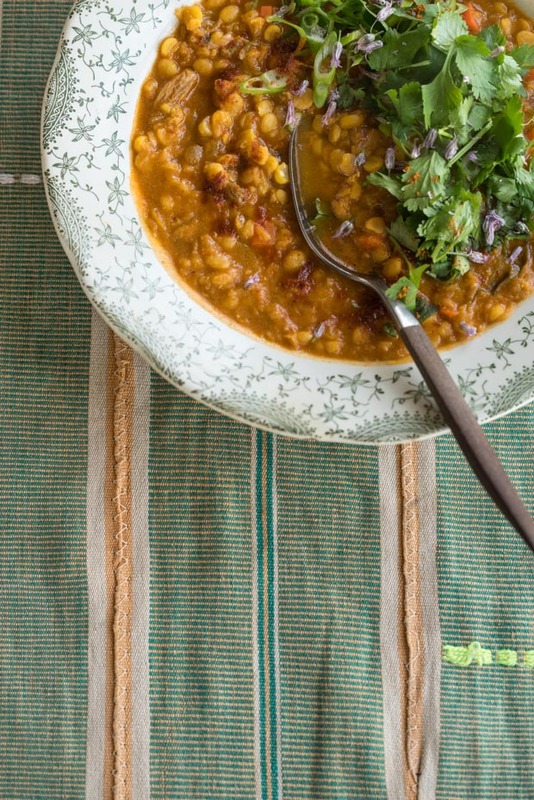 It all comes together in one amazing bowl of restorative, lentil soup goodness.